Serving as artist judges this year are some big names in roots music, including Tom Waits once again, Warren Haynes, Tift Merritt, and Baltic Crossing (see full list of judges). 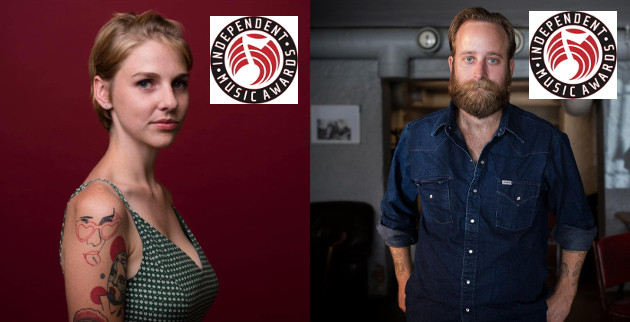 The Independent Music Awards hand out distinction in both song and album categories for country, alt. country, Americana, and bluegrass. The 2016 winners announced recently include Dori Freeman in the country song category for her effort “Go On Lovin'” from her critically-acclaimed self-titled debut record. Winning in the country album category is Jack Grelle for his record Steering Me Away. Grelle also just released a new record (that wasn’t eligible for this year’s awards) that is also receiving high praise called Got Dressed Up to Be Let Down. A full list of the country and roots winners can be found below, and the full list of Independent Music Awards winners can be SEEN HERE. Love both albums. Freeman’s debut is my most-listened-to record of the year. I saw her three times prior to a recent move north. Fantastic each time. Happy for Jack Grelle. He fits into my Ameripolitan hour. Great to see Dori Freeman receiving recognition for her excellent debut album; very well deserved! I like this Dori Freeman. And Trigger finds me another! I Like Dori’s music a lot…. good luck to her, and congratulations.